The Swiss BioHealth clinic in Konstanz leads the world in both research into, and the clinical use of, non-titanium ceramic dental implants. But it is very much more than that. The Biohealth concepts and procedures developed over thirty years by Dr Karl Ulrich Voltz, the clinic’s director, are now not just resolving dental problems but health issues from arthritic joints to Lyme’s disease. Michelle Berriedale Johnson has just spent a week being treated at the clinic. She explains the thinking behind their approach and how their protocols actually work in practice. Click here to go straight to how the clinic operates. In conventional dentistry you will then be offered root canal treatment. This involves cleaning out the hollow centre of the dead tooth and packing it, usually with a rubber like material called gutta percha that comes from the sap of Malaysian trees. This is sealed in place with an adhesive cement. The problem with conventional implants…. There is only one problem, although this is a problem currently only recognised by a small band of specialists headed up by the Swiss Bio Health clinic. The implants are made from titanium. Titanium is already widely used in medicine and had been thought to be both inert and non-allergenic. But while even this is now being questioned (see here for more), the main issue is that titanium is a metal – and, say the bio-health dentists metal has no place in our bodies. Even a healthy immune system can only scavenge toxins if it can find them. So it is in the toxins' interests to search out places in the body where they will not be found. And the spaces created by decaying bone around damaged or infected teeth are ideal hiding places. An even better a hiding place is provided by the layer of fat that settles where wisdom teeth have been removed in most people. Feeding it good nutrients is of course vital. But that may not be enough if its body is also ‘housing’ a number of pathogens, viruses or toxins. Tucked away in safe corners such as ex wisdom teeth sites or decayed teeth these toxins will be constantly impeding its work. Therefore, to allow the immune system to regain maximum health and productivity, those sites need to be cleaned out and encouraged to infill with healthy bone which will not allow spaces to reform to accommodate those pathogens. I will describe some of the protocols used at the Swiss Bio Health Clinic below (for full details see their site). But for now – the principle. You effectively force feed the immune system healthy nutrition for a period of weeks or months to get it to maximum efficiency – then…..
You meticulously clean out the areas where pathogens may lurk ensuring that absolutely nothing is left behind. You then pack these areas with bone from the patient's own body and/or membranes made from their blood and sew them up tightly. So, you have removed the pathogens and filled the sites where they had hidden with potentially healthy bone and gum. All that is needed now is to ensure that the patient's levels of the nutrients needed to grow that bone (especially Vitamin D3) remains high enough to allow complete reintegration and healing to take place. Below is an overview of what happens if you opt for treatment at the BioHealth Clinic. For full technical details on all of their treatment see the clinic’s website. Although many people come to the BioHealth clinic, as I did, because they want non titanium implants, that is not how it works. As the name implies, the clinic is looking to create a state of optimum health in their patients and this cannot be achieved by merely replacing a metal implant with a ceramic one. So you need to understand that your ceramic implants will only come as part of a whole treatment. Making an appointment at the clinic requires one to submit both a blood test and a set of Xrays. The blood tests are to establish your general level of health, especially your Vitamin D3 and LdL levels. Good vitamin D3 levels are vital for building new healthy bone, low LdL for minimising the chance of infection. The Xrays are to establish what is actually happening in your mouth. Based on these you will be offered a suggested treatment programme although this is quite likely to change when you actually get to the clinic and have full 3D scans. You will also be quoted a price based on this plan although that of course might also change. If you decide to go ahead you will be offered a date for treatment (which could be as much as six months away) and depending on what you need to have done you will be required to book in for five to seven days. You will be advised to start supplementing if your vitamin levels were low but one month before your treatment date you will be supplied with a full supplement regime designed to boost your nutrient levels prior to treatment. The object of bio health treatment is to harness the body’s own healing powers so everything is done to maximise that potential. Although all new patients will have taken a month’s worth of supplements, intravenous infusions of vitamins and mineral are administered every day throughout the treatment stay. At the end of the treatment you are sent home with another month’s worth of supplements to aid your on going healing. This can mean a long day in the chair but they work remarkably quickly! In one five hour session Dr Voltz extracted five of my teeth, inserted seven implants, did a sinus lift* and cleaned out my cavitations – while not only giving me a running commentary on what he was doing but explaining the philosophy behind bio health! However, they also recognise that even this one long day will be traumatic which is why they require you to remain for a further four days minimum so that you can rest completely (no work, no travelling, no exercise) and they can monitor your progress and provide a wide range of aids to your healing (see below). The clinic’s success record is remarkably high – a less than 1% failure rate for implants. But they believe that to achieve that you must follow their full healing programme which is why you need to stay on for an absolute minimum of four days after the procedures. Pain is not acceptable within the system because pain, by definition, puts the body into sympathetic/flight or fight mode. In this mode both the immune and healing systems are closed down so that all forces can be concentrated on flight or fight. The object therefore is to maintain the body in a pain free, para-sympathetic state while the procedures are taking place so that healing can start immediately. So shards of bone from extraction sites will be harvested while patients’ own blood is centrifuged to achieve platelet rich fibrin membranes for use in cavitations and sinus lifts. Vitamin, mitochondrial, antibiotic, cortisone and other nutrient infusions. These are given both before and after the treatment. See the clinic’s website for full details. Both before and after treatment patients are given cranial and lymphatic massage, neural and magnetic resonance treatment, acupuncture and homeopathic remedies. They are then sent back to their hotels with a face chilling device (like a portable ice cream machine!) and quantities of Traumeel and Arnica to help minimise swelling and thus speed healing. The clinic itself (cool, grey and sophisticated – much like a modern day health farm) is wifi free and patients are given a Vivobase device to plug in in their hotels intended to lower levels of harmful radiation in their immediate environment. Above all patients are advised to rest – plenty of sleep, meditation, quiet – no vigorous exercise of any kind. They advise – quite rightly in my case – that you will feel surprisingly well the day after the procedures but more tired on the following two days (and for a number of days thereafter) and that you should just ‘go with that flow’ and do as little as possible. Everyone at the Swiss Bio Health Clinic, from Dr Voltz down, is charming, helpful, informative and friendly. They are happy to talk about any of the treatments and to discuss how to move forward at any point. You feel extremely well looked after – indeed, positively pampered. In my case I had no particular issues other than wanting titanium free implants. (I had unwisely allowed myself to be talked into a titanium implant even though I knew there was a risk that it could act as a electromagnetic radiation conductor and re-ignite my electrosensitivity – which indeed it did.) However many of Dr Volz’s patients come with other serious health issues including Lyme disease. Lyme disease is caused by the borrelia burgdorferi bacteria which can be acquired via a tick bite. It is serious in Europe but particularly virulent in the US. It can have devastating systemic effects and is all but impossible to treat as long as the bacteria remain in the body. However it would appear that wisdom teeth cavitations in particular are favourite locations for these bacteria and once those sites are cleaned out and sanitised during the bio health procedure, they are banished from the body and healing can take place. Lyme disease is the most dramatic condition that the bio health protocol appears to address but Dr Voltz told me that virtually all of their patients report improvements in other often very long standing health conditions within weeks of undergoing treatment. Totally insignificant compared to other complaints but, I have to admit that my stiff neck which has resisted all attempts to ease it for the last several years had all but disappeared the morning after my surgery…. 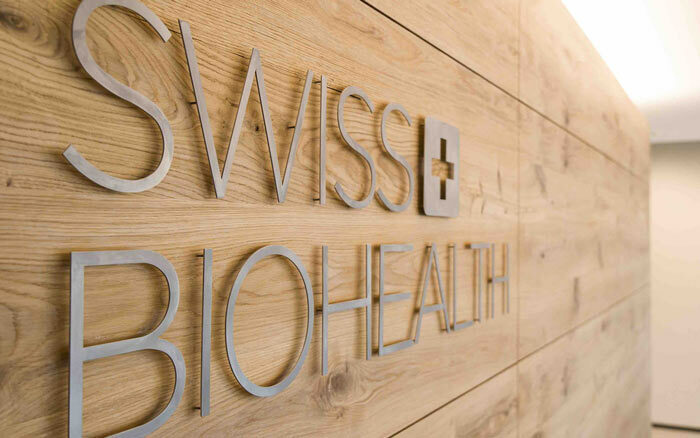 For more details on the Swiss Bio Health Clinic and procedures see their site.